Applications: Designed for cleaning weld joints on pipelines. Being stainless steel, they could be used on either stainless or other metal grades. 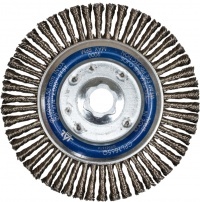 With just 6mm width, the 150mm wheels are also ideal for cleaning corner TIG welds which are otherwise hard to reach. Similarly they will remove coatings and grime from areas that may be inaccessible to other tools. The 115mm size will fit standard 115mm and 125mm grinders, whilst the 150mm size will fit 180mm and 230mm angle grinders and also the Cibo Finiteasy long arm and other fillet weld grinders. Standard M14 fixing to suit most angle grinders and fillet weld cleaning tools. Stainless steel twisted knot wire, grade AIS1302. Just 6mm nominal width (will splay slightly at knot ends). Max Speeds: 115mm 15,000rpm, 150mm 9,000rpm. Discounted prices for just 3pcs. 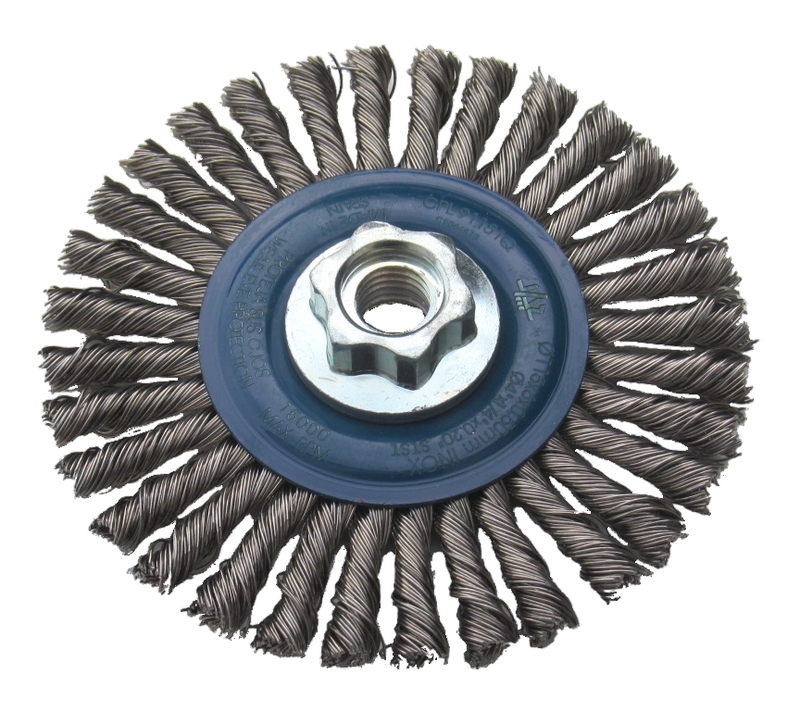 Also Available: We also stock non-stainless pipeline brush wheels in grey steel wire. 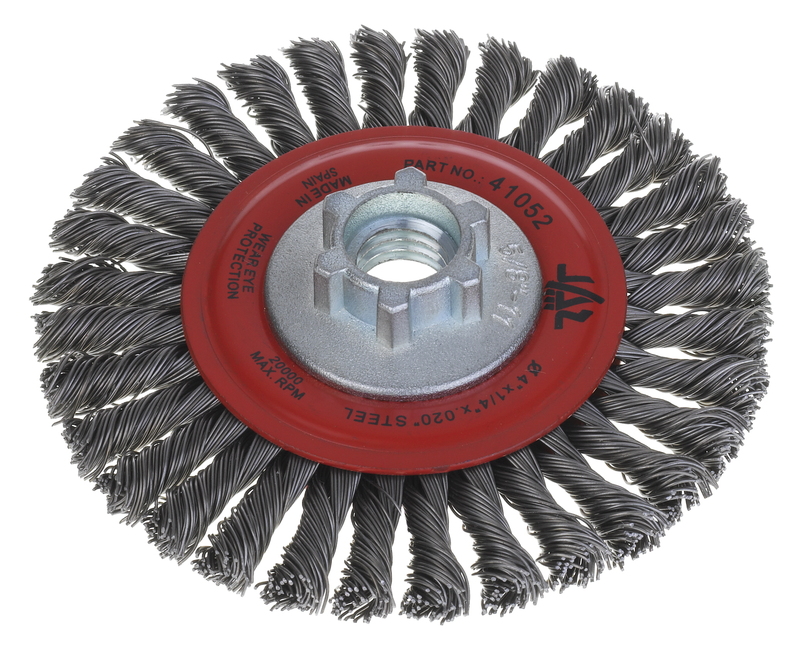 Standard profile stainless steel twisted knot brushes are stocked in 115 and 125mm diameters. 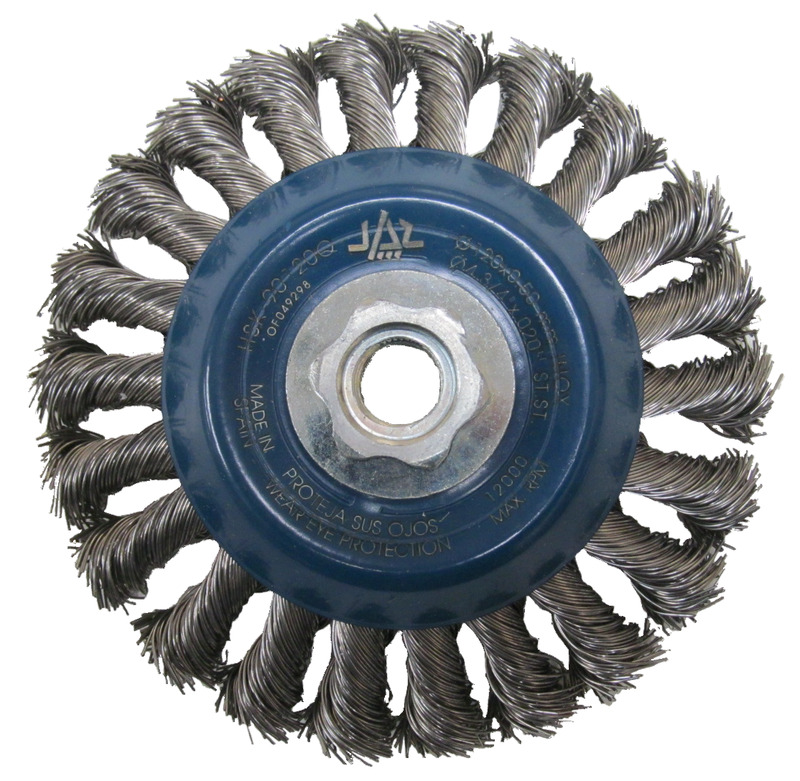 This brush wheel is specifically designed to reach and clean pipe-line welds, but is also useful for cleaning fabricated corners. 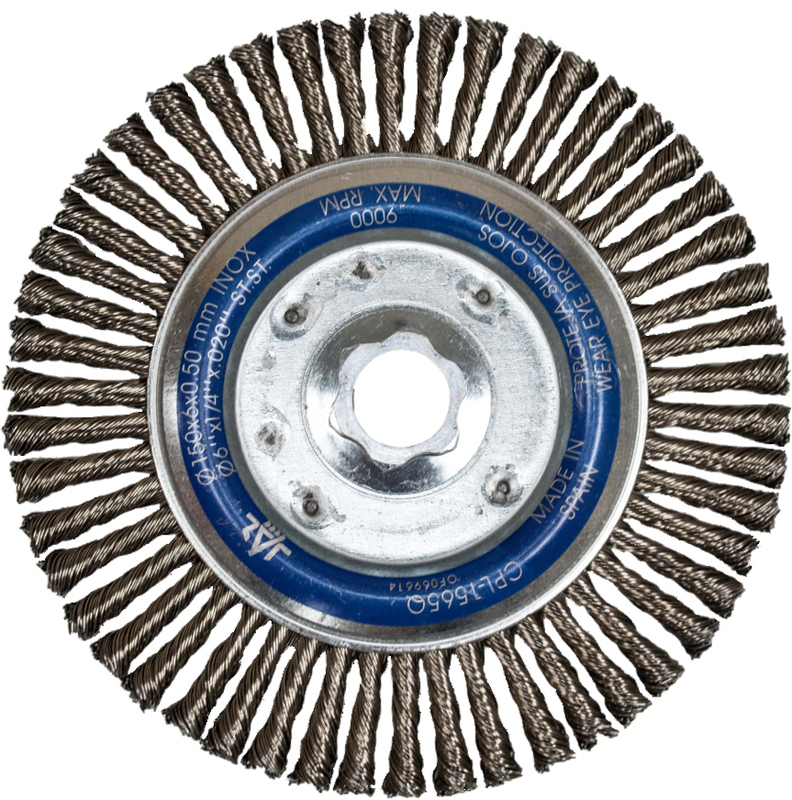 These twisted knot brush wheels give aggressive use on angle grinders.